Major Brian Dennis has returned from Iraq and was reunited with Nubs the dog. 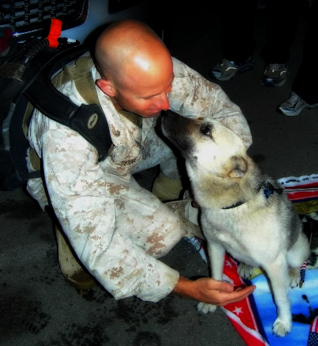 Nubs is the Iraqi dog that walked 70 miles to find the Marine who had befriended him. Dennis is looking forward to taking Nubs to the San Diego beaches and teaching him that playing in the surf is fun. Coming from a desert, Nubs wasn’t too sure about the ocean on his first trip to the beach with his foster parents. Nubs has been doing well while waiting for Maj. Dennis to return. He’s put on some weight, his coat has gotten smooth and shiny, and he’s been learning what it means to be cared for. We’re very glad Nubs and Brian Dennis have made it home safely. 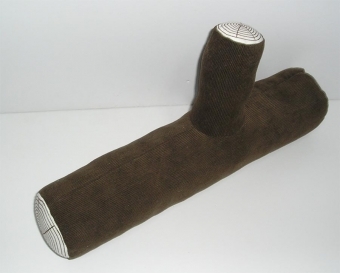 You can learn a bit more about Nubs from the email I exchanged with Maj. Dennis. And about Nubs’ homecoming in February. Looking for the perfect Spring/Easter gift for that bunny lover who has everything? 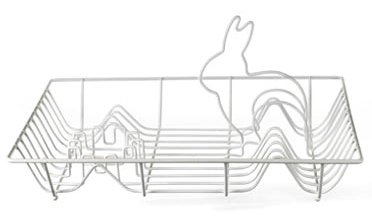 How about this super cute rabbit dish rack designed by Chris Koens. (via SwissMiss) I didn’t find it for sale in the US, but you can pick one up from DutchbyDesign or the Victoria & Albert Museum. Do you love all things faux bois? 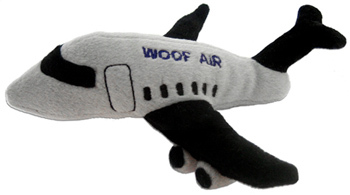 Check out this plush log dog toy. Too fun!